You had me at the Chocolate and Coffee Bible, but lost me at Here’s the Situation! Mostly, we have the same taste in reading…How is the Tapas Book? 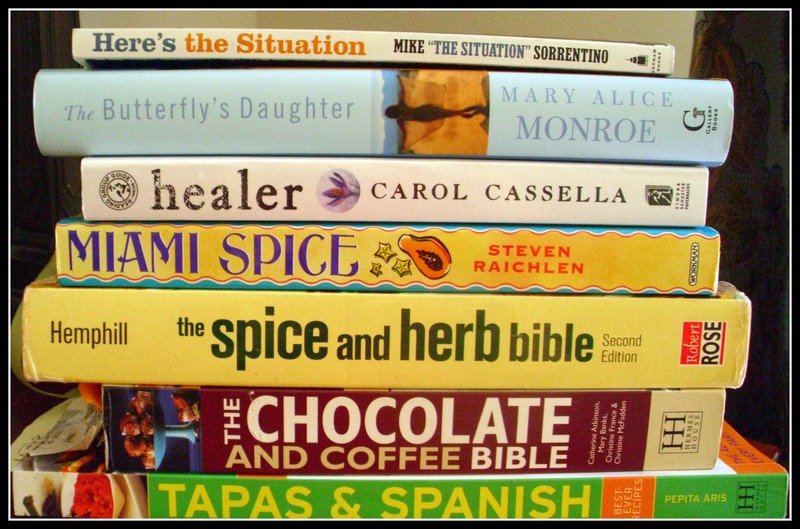 And, I think I have the Miami Spice one, unless that is new…I need to go look at my cookbook shelf. I’m reading Physics of the Future by Michio Kaku.